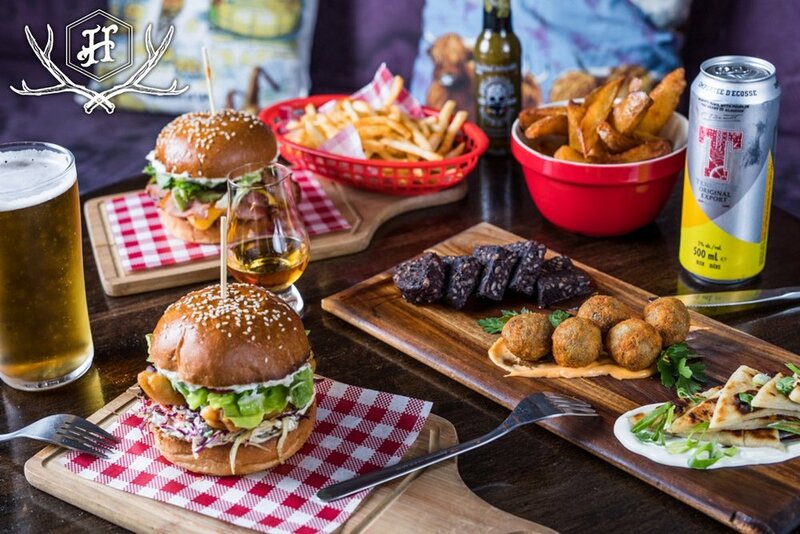 Our Scottish inspired menu consists of a mixture of both classic & contemporary wee bites & sides (perfect for snacking or sharing), meals, burgers and sweets. The kitchen is open from 12-3pm for lunch and from and 5-10pm for dinner & bar snacks. Scroll down to view our menu or click to download. We also provide cocktail style catering for functions and events. To view or download our finger food menu for functions click below. Items from this menu are only available by special request must be ordered and paid for 7 days n advance. FREE house beer, wine, spirit or soft drink with any main meal or burger 12-3pm! $15 Burger & beer every Friday! Saturdays from 12-3pm for a LIMITED TIME ONLY!